Ok peeps, I know its been a while, but I'm back and ready to blog ! I won't bore you with the details, suffice it to say I'm still humming. With the holidays upon us I thought a festive liqueur an appropriate post since we'll all need a drink. 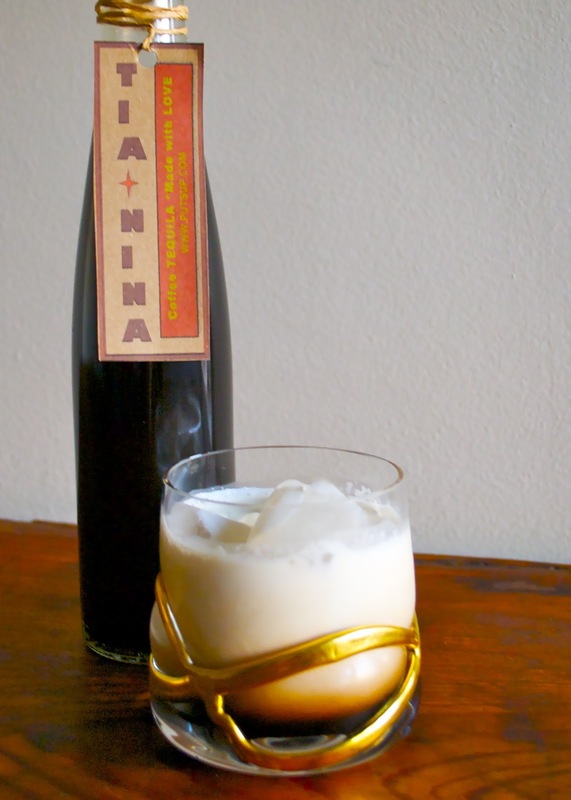 Make it now and and you'll be sipping it by Christmas or New Years. I love all things coffee, coffee jello, coffee ice cream, coffee gravy; you name it, the addition of java with its sweet and funky aromas is always welcome. 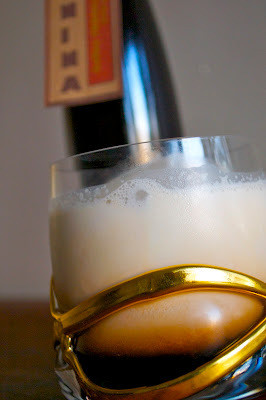 And, I confess, I love a White Russian, (alcoholic coffee ice cream) my guilty pleasure. While perhaps thought of as a chick drink lets not forget that it was The Dudes libation of choice in the The Big Lebowski , and is therefore a "quest" drink. The traditional coffee liqueurs , Tia Maria and Kahula are cloyingly sweet. Reducing the sugar and adding a bit of molasses, which adds complexity, results in a more sophisticated liqueur. Molasses is my new secret ingredient, I have been adding it to everything , especially anything with a caramel note. It's kind of like the Worcestershire sauce of the dessert world, adding a touch of umami to sweet preparations. Used sparingly it adds dimension and depth, but too much and you are in hermit territory. With it's bit of musk and funk it marries perfectly with coffee. You can make this with almost any spirit, white tequila, dark rum and vodka, are all excellent choices, it's a matter of preference. I love the tequila with its peppery kick. Be sure to use a decent quality spirit and put it up for at least 3 weeks, the longer the better. Try to keep one bottle until Christmas 2013, the longer it ages the smoother it gets. It makes a festive (adult) stocking stuffer. Combine sugar, water and molasses in a large pot and bring to a boil. Boil for 5 minutes. Gradually stir in coffee. Remove from heat and skim when cool. Scrape in vanilla bean, or add extract, saving pods to add to the bottles. Mix thoroughly and add spirits. Use a good quality instant coffee. Folgers just wont cut it. I like Medaglia Doro which also makes a decaf version if that's an issue. Starbucks is also apparently making some excellent instant coffees. The coffee syrup makes 7-8 cups. You can boil it longer and make the syrup thicker if you prefer, this will result in a stronger and sweeter product. These bottles are wonderful for gifting, clean and simple they take labels well. Sunburst Bottles has lots of choices. I like mine unshaken so I can see the dark liqueur swirl up to meet the cream. 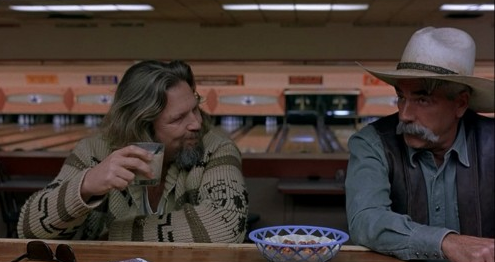 Here's pastry chef Christina Tosi's ode to the Big Lebowski, Momofuku's Cereal Milk white Russian, aka the White Ruskie, which takes it to a whole other level. For Tigresses in a Jams March CAN-JAM the directive was alliums. Wandering through the Santa Monica farmers market I had a vague idea of a ramp and fennel pickle, but sadly there where no ramps to be found. But with spring in full swing the market was bursting with irresistible produce, asparagus, fennel, strawberries and rhubarb all beckoned me. Impulsively, and without a plan, I grabbed whatever struck my fancy and came home with rhubarb, fennel, spring onions, tarragon and blood oranges. 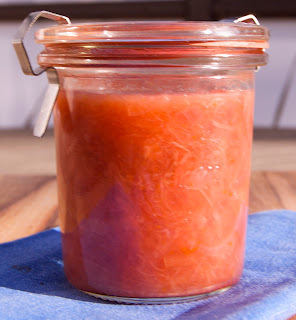 Voila, Rhubarb Fennel Chutney. a spicy condiment made of fruits or vegetables with vinegar, spices, and sugar, originating in India. What defines chutney I wondered? Concerned that technically this recipe was not a chutney as it lacked raisins, I poked around on line searching for a definitive definition. I found no concrete answer and somehow, as is oft with the Internet, I knew both more, and less. Raisins I learned are not essential. In India the term chutney covers a panoply of condiments: sweet, spicy, fresh, cooked, and herbal, every cook and region has their own. Chutney is to India as salsa is to Mexico, and then some. To me it is defined by sweet and sour characteristics which pungent rhubarb lends itself perfectly too. I have added to that onions, tarragon, Pernod and fennel, typically French flavors that result in hybrid, which I am happy to call chutney. In a large pot heat vinegar and sugar over low heat until sugar dissolves. Add remaining ingredients and simmer for 35-45 minutes stirring occasionally until the mixture thickens. Fill jars leaving 1/2 inch headspace . Seal and place jars in canner covering with more hot water to submerge the jars. Bring to a boil and process hot water bath for 10 minutes for 1/2 pints and 20 minutes for pints. Remove canner lid and wait 5 minutes before carefully removing jars. 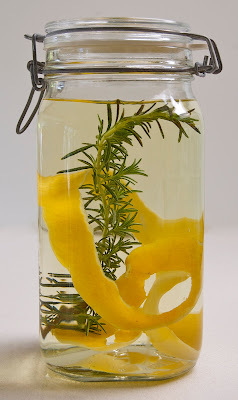 Place jars on towels or a cutting board and let cool undisturbed for 24 hours. Originally I had planned on making this for Tigress in a Jams January Can-Jam but was unable to get my hands on any kumquats. But it seems that the fruit Gods are now complying and kumquats are everywhere, just in time for Chinese New Year. Ranch 99, the fabulous Asian supermarket on Sepulveda, has some and even better, my friend Marysa let me raid her tree (after feeding me a delicious dinner that her husband Chris had cooked). Prized for their beautiful color, which represents gold, their leaves, which represent money, and their shape, which signifies unity and perfection, kumquat trees are often given as gifts during Chinese New Year. Frankly, after last year any signs of prosperity are welcome in my home. At first I thought this might be a fussy Victorian style preserve that doesn't translate to our modern palate, but let me tell you these babies are addicting! 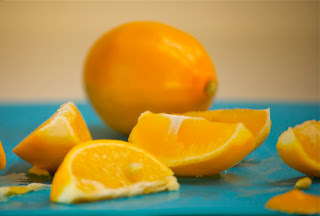 You taste the delicious citrus syrup before you bite into the fruit, which explodes in your mouth with a combination of flavors and textures, both buttery and puckery, unlike anything else you have ever had. They are yummy and will both surprise you and inspire your cooking with their multiple uses. They are equally welcome in both sweet and savory preparations and sublime when combined with dark chocolate. 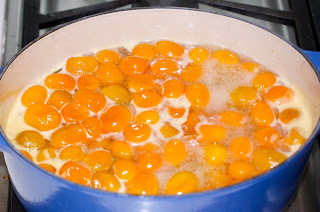 Kumquats have a short growing season so grab them when you see them and get canning. 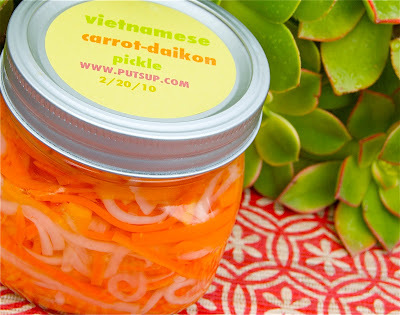 This is a pantry ingredient from that can elevate your cooking from the ordinary to the special. However much you make you will wish you had made more! Kung hay fat choi! (wishing you prosperity!). Spoon over pound cake or dark chocolate torte. 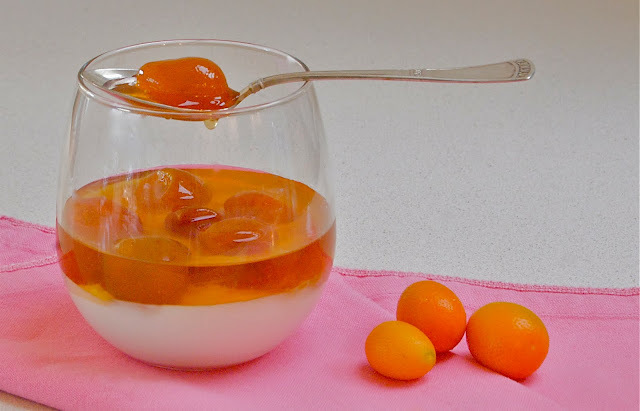 Mix into to yoghurt or spoon on top of panna cotta (pictured). Slice into salads or serve with roasted meats. Make sophisticated cocktails using the fruit as a garnish and a bit of the syrup for flavor. You can substitute sugar for the honey if you like. Feel free to omit the ginger or replace it with vanilla bean. 1. 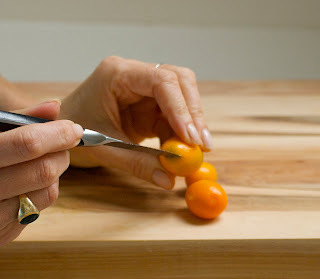 Wash the kumquats and remove any remaining stems. With a paring make a small incision in each end of the fruit. 2. Peel ginger and slice into 8-10 coins. 3. Put honey, sugar, water and ginger into a preserving pan over medium heat and bring to a boil. 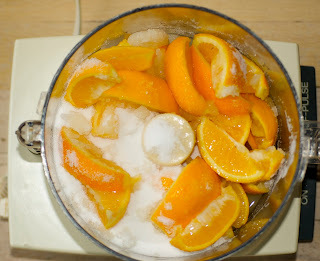 Add kumquats and cook over low heat until fruit is tender and almost translucent, about and hour. Skim as needed. 4. Cool fruit and refrigerate over night. Start you canner boiling. Return fruit and syrup to boil over medium heat and simmer for 10 minutes skimming as needed. 5. Ladle fruit into canning jars dividing ginger evenly. Cover the kumquats with the syrup leaving 1/2-inch headroom. Remove any air bubbles. Wipe rims and place lids on screwing on lightly. 6. Place jars in canner covering with more hot water to submerge the jars. Bring to a boil and process for 20 minutes (timed from the boil). Remove lid and wait 5 minutes before carefully removing jars. Place jars on towels or a cutting board. Let cool undisturbed for 24 hours. 7. Label date and enjoy! 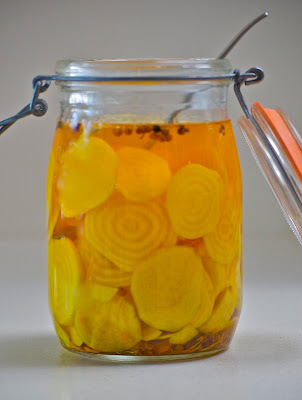 My old friend Kami has been asking me for a pickled beets recipe for months . Inspired by some golden beets at the farmers market and the mound of tangerines in my kitchen this recipe is a welcome ray of sunshine in the winter. The earthiness of the beets combined with tangerines and the slightly floral pink peppercorns results in a mildly sweet and tangy pickle. I used the David Chang/Momofuku technique reducing the sugar a bit to compensate for the beets sweetness. Serve these along side rich meats, added to salad or on a sandwich or burger. Chopped finely they make a great addition to a remoulade or tuna salad. If you have extra brine pour it over another vegetable, such as onion or carrots, whatever you have on hand, and pop it in the fridge to serve with the beets. These are refrigerator pickles and therefore require no hot water bath or cooking. This is a technique that invites experimentation, try different vegetables and spices using what you have on hand. Pink peppercorns grow on tree's in California and are available at gourmet markets , but can easily be replaced by regular peppercorns or omitted altogether. I used golden beets for this recipe, but any beet will work. Peel the beets before trimming them, it's easier with with the greens attached . Golden beets are orange on the outside and yellow on the inside. Peel beets, then cut into very thin slices (less than 1/8 inch) with slicer and transfer to a nonreactive heatproof bowl with zest and peppercorns. Meanwhile, bring water, vinegar, sugar, and salt to a boil in a large nonreactive saucepan, stirring until sugar has dissolved. Remove from heat and pour hot brine over beets. Cool to room temperature, stirring and pressing vegetables down occasionally (or keep them submerged with a small plate). Transfer beets with pickling liquid to a separate airtight container and chill, covered, shaking occasionally, for at least 1 week. Serve using a slotted spoon. Eager to impress all my new canning pals in the can-athon, I devised a complicated kumquat preserve but alas there were no kumquats to be had, the farmers markets were all rained out (it's pouring!). With both my kumquat fantasy and my attempt at culinary pretension dashed, I decided to be sensible and use the meyer lemons on my tree. 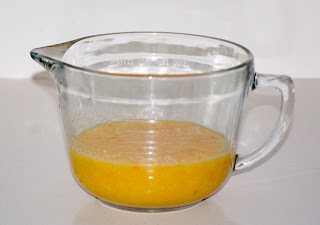 Everyone seemed to like the microwave tangarine marmalade that I posted in December so I thought another microwave recipe would be in order. I have been experimenting with this this technique which works wonderfully with thin skinned citrus. Do not bother making this with thick skinned fruit. 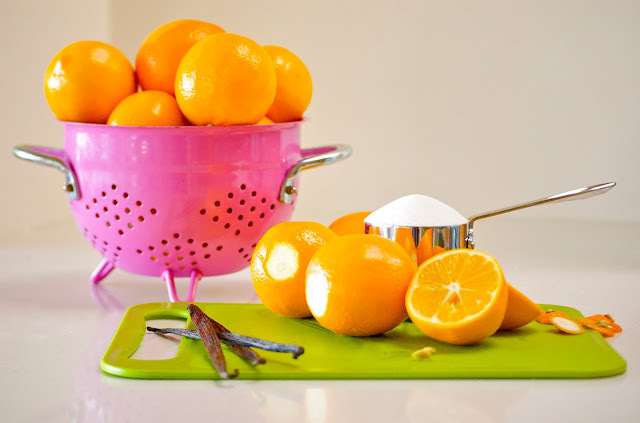 You won't be happy with the results unless you trim away all the pith, and if you are going to all that bother you may as well make traditional marmalade. The beauty of this recipe is its simplicity and speed. As I said in the Tangerine post "this is not as complex or refined as a traditional marmalade, but is fantastic nonetheless, and a great addition to every jammers repertoire. Some might call it cheaters marmalade, but given the work/outcome ratio it’s a winner." ZIP it in the the food processor, ZAP it in the nuke,and ZING it in the canner, (ok the last one doesn't really make sense, but it sounds good). Use only thin skinned citrus. Do not double the recipe, the microwave will not like it and you will end up with a giant mess. Use a high-sided microwaveable container as the jam bubbles up. I like to use my 2-quart glass mixer bowl, which I can pour directly into the jars from. After you get the basic technique down feel free to play a bit adding a alcohol or spices. This is a great way to use up those bits of dried up vanilla bean in your cupboard, but if you you don't have vanilla this still stands on it's own. My sincere apologies to those of you denied access to meyer lemons. Cut of blossom end of lemons and slice lengthwise into quarters. 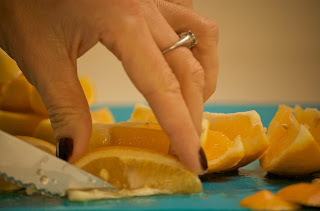 Using a paring knife slice away the thin white membrane on the edge of the flesh. This will allow you to easily remove the seeds. Place cut lemon and sugar in the bowl of a food processor. Puree, making sure that all the peel and section skins are reduced to a pulp. It will be quite liquid. Pour into a high-sided microwaveable bowl adding vanilla bean cut into a few pieces. Cover tightly with saran wrap that you have pierced a few times to vent. Microwave on high for 5 minutes. Stir; remove saran wrap and return to microwave for5- 7 minutes. Remove, stir and check thickness. At this point, depending on the juiciness of your fruit you may want to return it to the microwave for another 2-3 minutes. It continues thickening as it cools. Stir again and pour or ladle marmalade into your prepared jars, leaving 1/2-inch headroom and removing any air bubbles. Wipe rims and place lids on screwing on lightly. Place jars in canner making sure they are submerged. Return to a boil and process 5 minutes (timed from the boil) for 4oz jars and 10 minutes for 8oz jars. Remove lid and wait 5 minutes before carefully removing jars. Place jars on towels or a cutting board to cool. Label,date and enjoy.